I grew up in a traditional Lutheran church, where I was encouraged to worship God through singing and music and to use my God-given talents to serve the church community. At this young age, I never considered using dance to worship God even though I spent countless hours (including weekends) in the dance studio. Whether it was taking ballet or modern class, rehearsing for an upcoming show, or choreographing my own pieces, it seemed like my dance studio was my second home because I was always there. And honestly, if you were to ask my high-school self how I felt about worshipping God through dance, I probably would have responded with uneasiness, asking questions like “Dancing to worship God…I mean, who does that? And why? Is it even acceptable in church?” It was not until I began attending Hope College for my undergraduate degree that the answers to these questions were revealed, and dance became an integral part in helping me significantly develop my relationship with Christ. One of the many reasons that I chose to attend Hope College was because it had a solid Christian foundation, aiming to educate students in the context of the Christian faith. As part of this mission, there were several chapel services a week. I still remember the first time I saw the Sacred Dance Ministry dance in chapel. I was confused and taken aback because I had never seen anything like it. It was not pleasing to me in any way: my heart was hardened to the fact that this art could be used to honor God during a church service. However, after a couple years of getting to know the girls in the Sacred Dance Ministry, God helped me see how dance is not just meant to performed on a stage to entertain an audience. It can be used anywhere and everywhere to communicate with God, because it is a gift from Him. One of the more significant ideas that God revealed to me is how dance is unique in the fact that it incorporates the physical, the emotional, and the spiritual. Most other art forms do not have the capability to do this. Now that I have had several opportunities to publicly talk to God through dance, all I can say is that it feels awesome! With the music playing, your adrenaline running, and your mind set on this great God, the Holy Spirit takes such a hold of your heart that you cannot help but smile and continue to dance. And by worshipping God through dance in public, you are telling others about the Gospel and God’s love through the imagery created by your body’s movement. The hope is that it that may stir up certain emotions or thoughts in both the dancer and the congregation, helping each to grow closer to God. Now, I know this all of this might sound completely crazy, and I completely understand because like I said earlier, I thought that it was when I was younger. But if you look back at Scripture, specifically in 2 Samuel 6:16, it says that “As the ark of the Lord came into the city of David, Michal the daughter of Saul looked out of the window and saw King David leaping and dancing before the Lord.” First of all, why is David so happy? Well, receiving the ark of the Lord means that God is bringing the blessing of His presence to David and his kingdom. As a reaction to this wonderful blessing, David could have easily just had a huge smile on his face and cheered out of excitement. Instead, he danced, because he could not contain the amount of excitement and joy he felt; he wanted to show everyone just how great God was through this movement. Nothing else would have come even close to helping him express these feelings. I, like David, have had these joyous moments and found myself jumping up and down or doing a little happy dance. And I am sure you have too. But besides feelings of joy and excitement, dance can also help you express grief, frustration, or anger. When my grandmother passed away unexpectedly in high school, I immediately decided to choreograph a dance that was dedicated to her. Even though I didn’t know it at that moment, God was helping me express my grief and anger in a way that no therapy or church service could have healed me. Because dance brings such a great dynamic to my relationship with Christ, I encourage you, the reader, to pursue God through dance. Don’t freak out quite just yet. 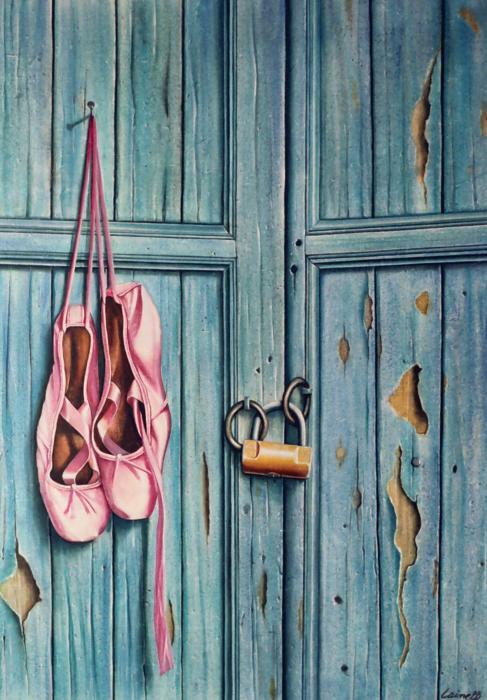 You don’t have to be a trained dancer and know what the terms plié, fouette, and port de bras mean to dance for God. Dance encapsulates any type of movement, whether it is bouncing to the beat of the music or just raising your hands as you sing or pray to God. God has given us the ability to dance, so why not use it to glorify Him and make His name known? Wonderful!! Thanks Elana, what a beautiful and very true article! !